As close as you can come to the real "Captain Jack" in the North East, GetCaptainJack has been performing in New England for 12+ years and has 20+ years of experience as a professional improv actor. 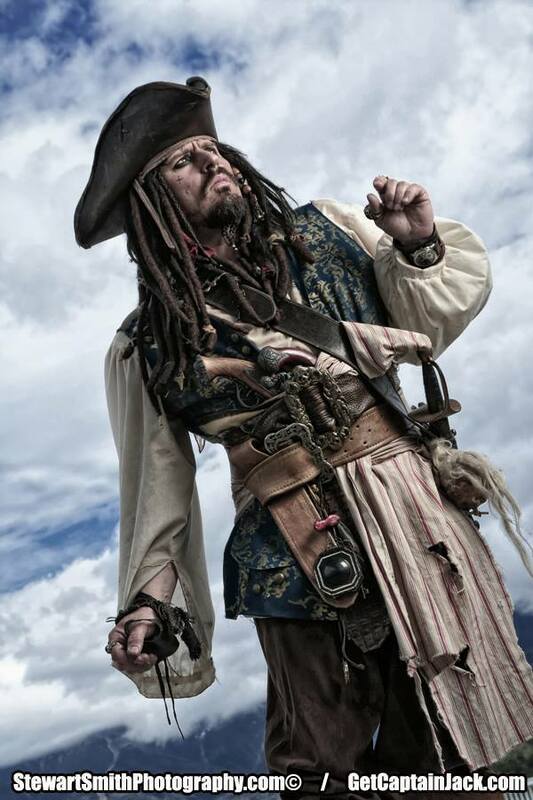 He has even received praise and approval for his impersonation from four top billed cast members of the Pirates of the Caribbean movies including Johnny Depp himself! 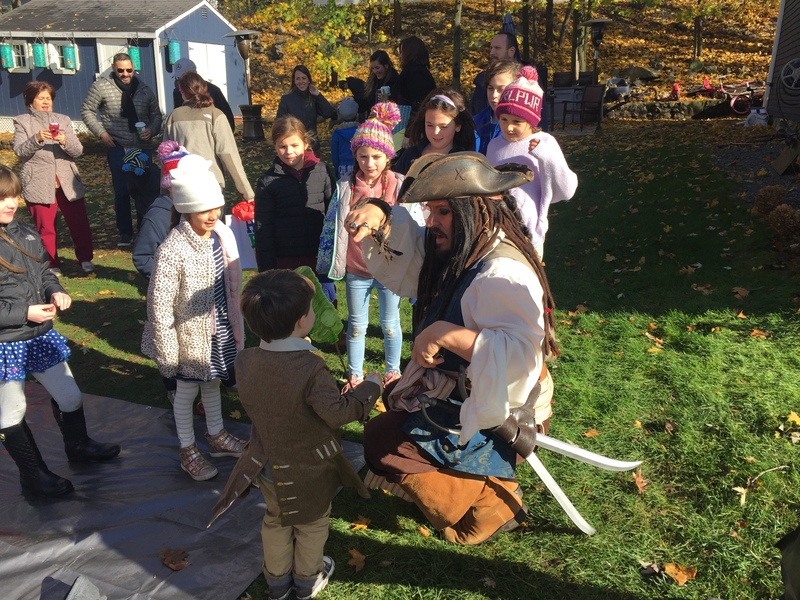 Perfect for children's parties,corporate functions, fund raisers, school visits and just about anything else you can think of, GetCaptainJack will entertain young and old alike for an experience they won't soon forget! Named one of the TOP 10 most entertaining performers at New York Comic Con three years in a row! Get Captain Jack was great! The kids and adults loved him. He was very realistic, witty, and great fun! 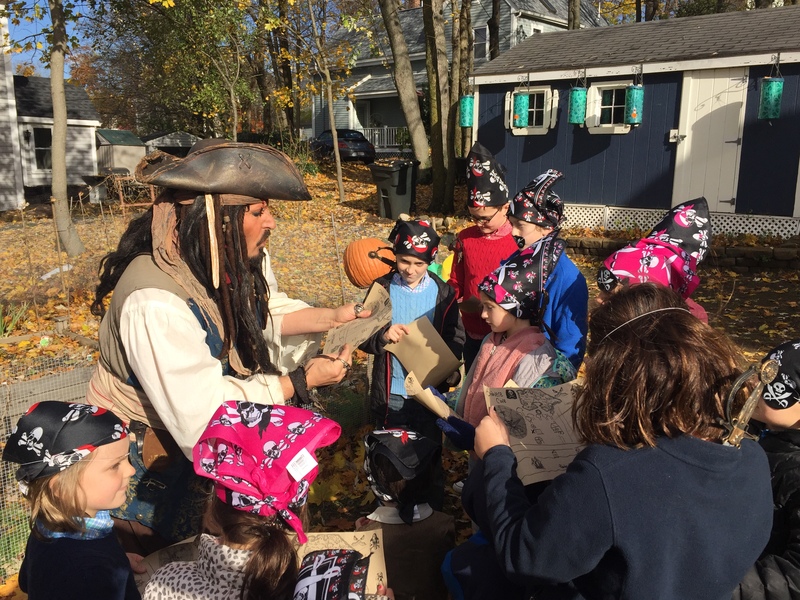 We had a great time with Get Captain Jack! He was easy to plan with, on time, and tons of fun for the children and adults alike!!! If I have the opportunity to have another pirate party I highly recommend him!!! Captain Jack did a fantastic job of greeting guests at our tradeshow. He definitely looked and sounded the part. 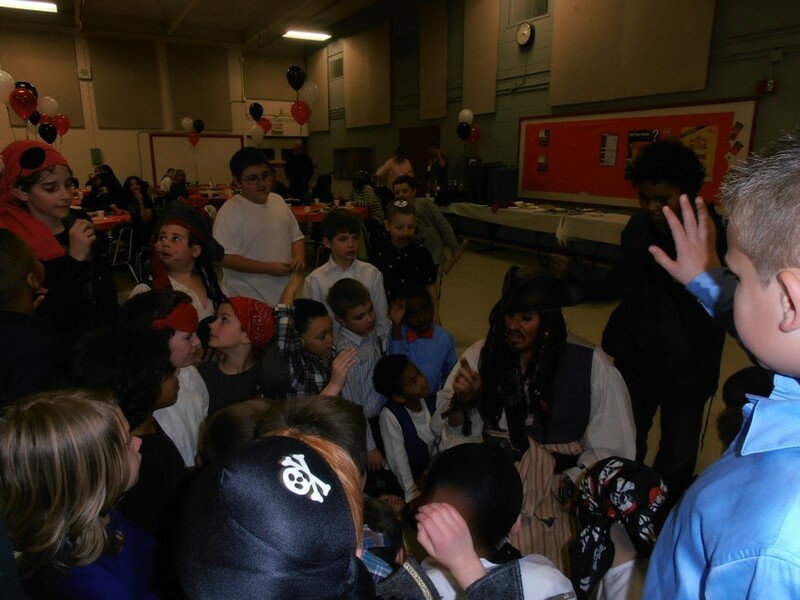 He then moved on to entertain the children during the dinner by taking them on a treasure hunt. Thank you Kim! It was a pleasure performing for you and your guests! 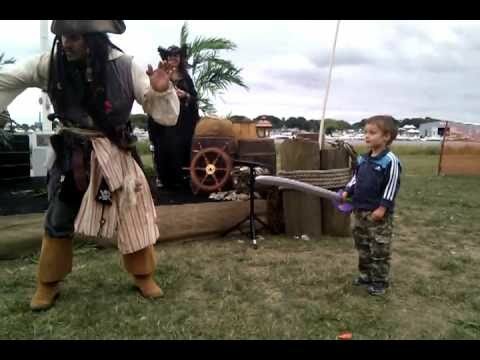 Captain Jack was so professional from the start! He was so responsive and gave me great advice to help the party run smoothly. 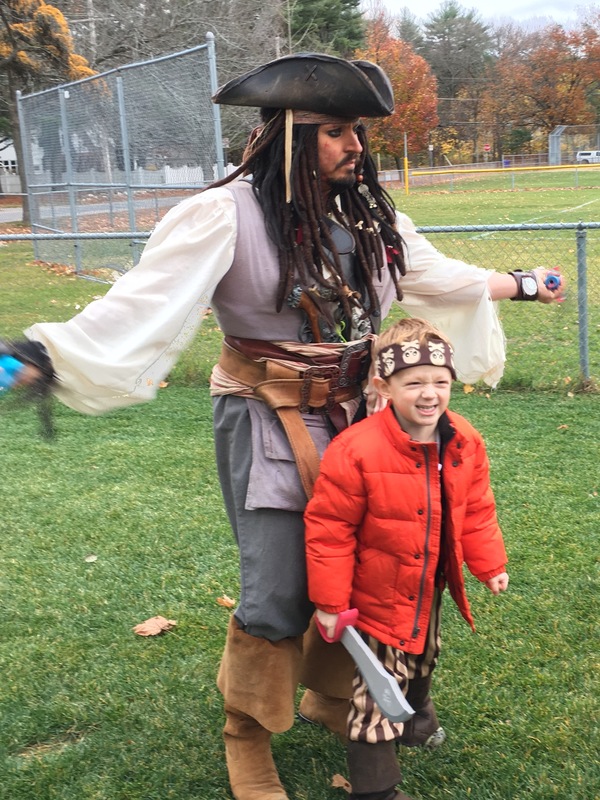 Captain Jack drove a good distance through a snowstorm to get to my son’s party which demonstrates his dedication and reliability. 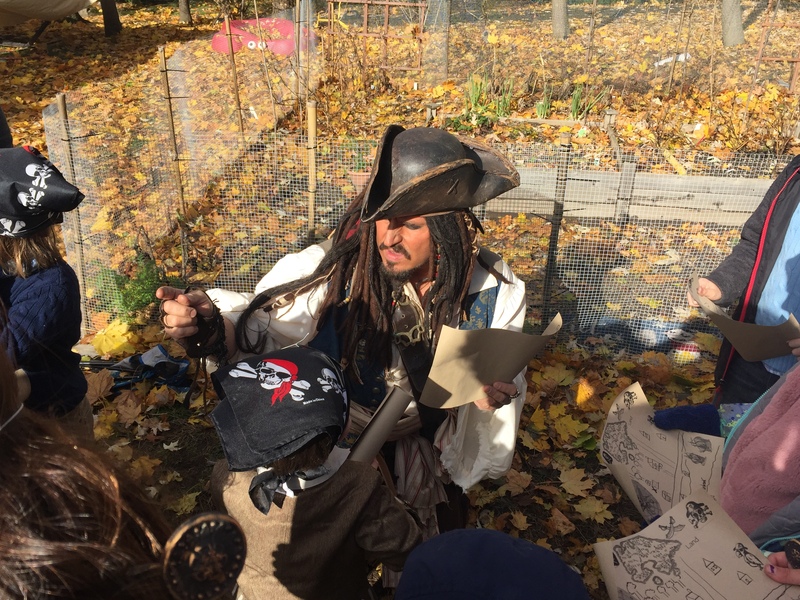 His depiction of Captain Jack was spot on and both the kids and adults really enjoyed his performance. 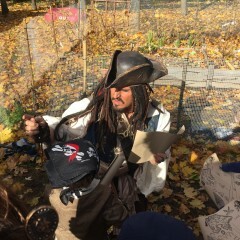 Thank you Captain Jack for making my son’s birthday party a success!!! Thank you Tamar. It was a pleasure! Thank you Leisa. It was my pleasure. 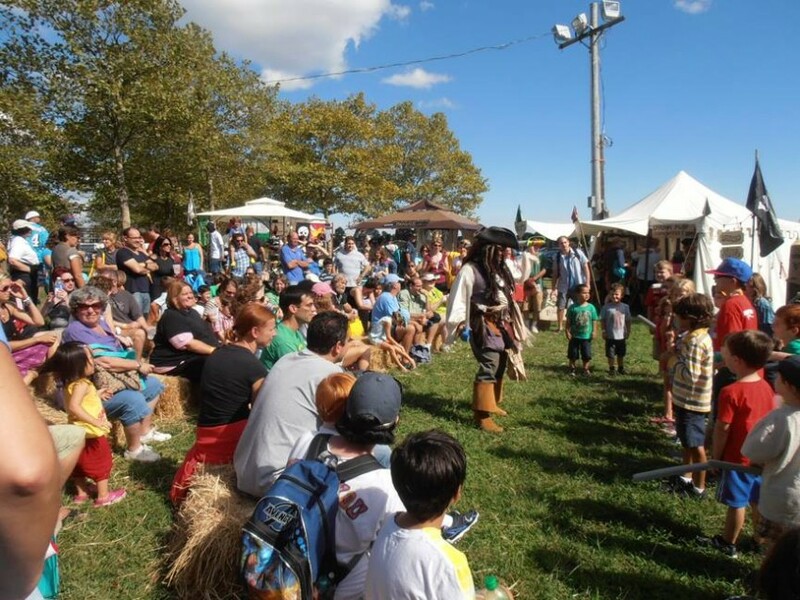 Our event was a nonprofit event with a pirate theme for adults, very few children in attendance. Get Captain Jack was incredible! He offered a unique alternative to the standard DJ or band option. Jack's Improv skills really kept my group involved as we played games, held trivia contests and just enjoyed a relaxed evening with laughs and Jack Sparrow antics! A memorable night for all! He legitimately looked and acted like the real thing. What a great addition to our event featuring 50 children and young adults, plus over 175 adults. It was tremendous! 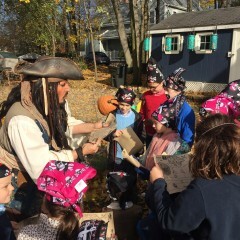 Captain Jack did a great job of entertaining a rowdy group of 10-year old boys...he handled the energetic crew with some great humor and games! Captain Jack was amazing! We hired him for our son's 5th birthday party and we were thrilled! He was true to character and the kids and parents were truly entertained. I would hire him again in a minute!! Thank you for having me Melanie! It was a pleasure. 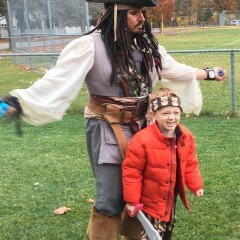 We had around 80 kids for a Halloween party different age groups Capitan Jack was great keeping the group involved. 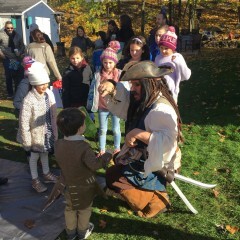 Captain Jack was absolutely amazing at my daughter's 6th birthday party. He looked, sounded, and acted just like the real thing. He captivated the kids attention and did a great job handling their rowdiness. It was great for us parents too because he was crackling jokes like how he hated being stranded on deserted islands, and the kids didn't get it, but we did. He was very professional when I talked with him prior to the event and responded quickly to my emails and questions. He arrived on time and ready to go. You will not be disappointed in hiring him for your event. Thank you Kelley. It was a pleasure! I will put on a performance your guests will never forget, and will do so in a clean, safe and audience age appropriate manner. I price my performances fairly and never pull surprises on you. I will discuss a quote and all activities with you long before your event. Should anything change, on either side, any changes will be approved by both parties. You will not have to worry about my part of the event at least. I do not break character during a performance, ever, unless of course emergency dictates that I do. With this in mind, please know that any drunken behavior is an ACT. I do not and will not consume any alcoholic beverages before or during your event. I do not smoke or use any drugs. In reality, not in character, I am about as clean and sober a human being as you are likely to meet. I will never insult your guests. I will tease them, but all in good fun. I have been a professional improv actor for more than 20 years and know how to treat people. I will , in character, be flirtatious with any willing women of appropriate age. I do not handle anyone inappropriately ever. I am very happily married, so the ladies are quite safe. The bottom line is I will do everything in my power to make your event fun, safe and memorable. If you ever have any concerns I am more than happy to discuss them with you. Received approval from four cast members of the Pirates of the Caribbean movies including Johnny Depp himself. Five star approval on Gig Salad from previous clients.